The Automotive Linux Summit gathers together the most innovative minds from automotive expertise and open-source excellence including automotive systems engineers, Linux experts, R&D managers, business executives, open-source licensing and compliance specialists and community developers. The event connects the developer community driving the innovation in this area together with the vendors and users providing and using the code in order to drive the future of embedded devices in the automotive arena. Over 300 attendees will gather at ALS 2015, which will be co-located with LinuxCon + CloudOpen Japan. Damas and his colleagues aim to remove barriers that hinder code contributions to open source software, he announced yesterday at a conference in Brussels. The Commission wants to clarify legal aspects, including intellectual property rights, copyright, and which author or authors to name when submitting code to the upstream repositories. “It is easier said than done,” Damas warned. On Wednesday, December 3, the Head of Sector gave a preview of the EC’s open source policy at a workshop on open standards for ICT procurement. The update of the EC’s policy is a work in progress, and will be finalized in the first months of 2015. DIGIT is not considering the restart of a Linux desktop pilot. A small-scale pilot already took place in 2005, with two hands full of EC volunteers at DG INFSO using Linux and OpenOffice, showing that a Linux desktop was feasible, Damas said. However, the exit costs—to move away from the proprietary system—were too high. Fedora 21 has been released and announced by fedora project, This release fedora 21 available in three flavors: Fedora 21 Cloud, Fedora 21 Server, and Fedora 21 Workstation. Fedora 21 Workstation The Fedora Workstation is a new take on desktop development from the Fedora community. Our goal is to pick the best components, and integrate and polish them. This work results in a more polished and targeted system than you’ve previously seen from the Fedora desktop. We want our desktop operating system to solve your problems, not be your problem. Fedora 21 Workstation features all of the latest GNOME 3.14 software, is powered by the Linux 3.17 kernel, and has a ton of other improvements and changes. Fedora 21 Server The Fedora Server flavor is a common base platform that is meant to run featured application stacks, which are produced, tested, and distributed by the Server Working Group. Want to use Fedora as a Web server, file server, database server, or platform for an Infrastructure-as-a-Service? Fedora 21 Server is for you. 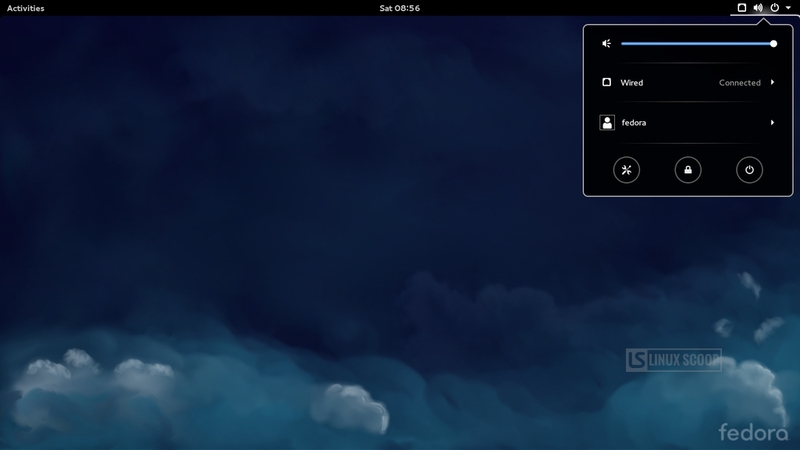 Fedora 21 Cloud : The Fedora Cloud Working Group and Special Interest Group (SIG) has been busy leading up to Fedora 21. Cloud is now a top-level deliverable for Fedora 21, and includes images for use in private cloud environments like OpenStack, as well as AMIs for use on Amazon, and a new “Atomic” image streamlined for running Docker containers. The Linux Turla is a new piece of malware designed to infect only Linux computers, which has managed to remain relatively hidden until now and has the potential of doing a lot of harm. Unfortunately, very little is known about it or how to fix it. During the course of almost a year, the guys at Kaspersky Lab discovered a cyber-espionage operation which they called the “Epic Turla.” According to their research, more than 45 countries have been affected and that includes government institutions, embassies, military, education, research, pharmaceutical companies, and a lot more domains. It seems to be an organized effort, probably with a nation backing it up. These problems were Windows-only and it looked like it will remain that way, but it turns out that “Turla” did not affect Windows systems exclusively. In fact, Linux systems are also vulnerable, to a different kind of code, which seems to be a part of the same organized effort to compromise computers on a global scale. This could be something Donald Rumsfeld might say, but the truth is that is almost the conclusion Kaspersky researchers posted on securelist.com. Until now they have only become aware that this problem exists, but it will be hard to fix. “The Linux Turla module is a C/C++ executable statically linked against multiple libraries, greatly increasing its file size. It was stripped of symbol information, more likely intended to increase analysis effort than to decrease file size. Its functionality includes hidden network communications, arbitrary remote command execution, and remote management. Much of its code is based on public sources,” wrote the Kaspersky researchers. From what the researchers have managed to put together until now, it looks like it links to three libraries, glibc2.3.2, openssl v0.9.6, and libpcap. The hardcoded C&C that hosts known Turla activities is news-bbc.podzone[. 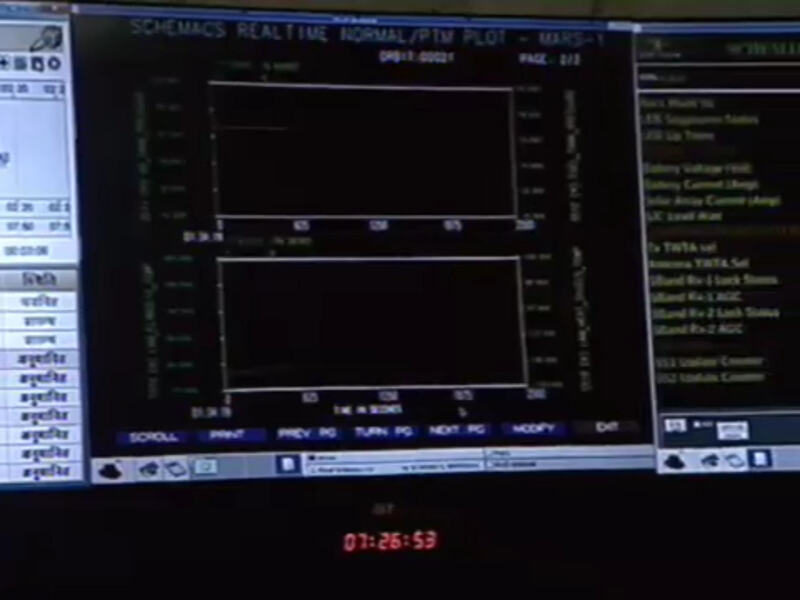 ]org (from pDNS IP: 80.248.65.183). Kaspersky Lab is currently sinkholing that address. Threats to our Civil Liberties, how Big Brother keeps snooping on us! 1. When talking to potential partners, Whisper hypes its ability to track users so that those partners will know who the anonymous sources are and then write stories based on the data. The screenshot of the Whispers being written from (or near) the White House supports this (below), as does the quote above. There is no shortage of Linux distributions to serve specific markets and use cases. In the security market, a number of Linux distributions are widely used, including Kali Linux, which is popular with security penetration testers. There’s also CAINE Linux, which is focused on another area of security. CAINE, an acronym for Computer Aided INvestigative Environment, is a Linux distribution for forensic investigators. Instead of penetration testing tools, CAINE is loaded with applications and tools to help investigators find the clues and data points that are required for computer security forensics. Among the tools included in CAINE are memory, database and network analysis applications. CAINE is built on top of the Ubuntu Linux 14.04 distribution that was released in April. Rather than use the Ubuntu Unity desktop environment, CAINE uses the MATE desktop. 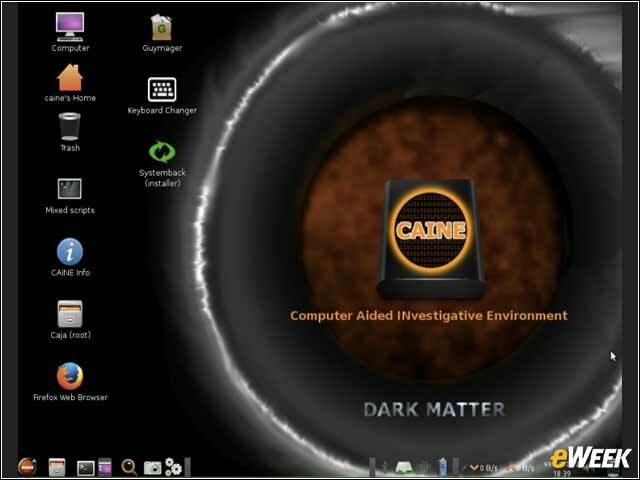 The CAINE 6.0 “Dark Matter” operating system was first released on Oct. 7 and includes new and updated applications to help forensics investigators. 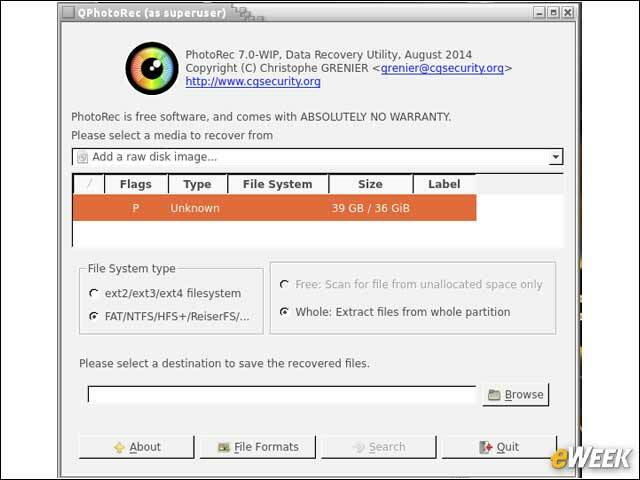 CAINE can be run as a live image from a CD or USB memory stick and can also be installed onto a user’s hard drive. “India’s Mars Orbiter Mission successfully entered Mars’ orbit last Wednesday, becoming the first nation to arrive on its first attempt and the first Asian country to reach the Red Planet. 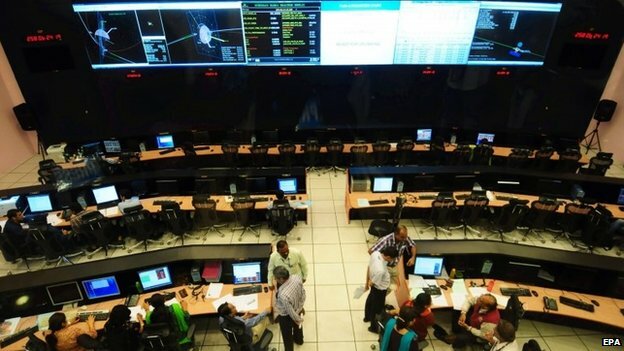 The staff at the Indian Space Research Organization erupted into applause and cheers after learning that the Mars Orbiter Mission, also known as Mangalyaan, reached the planet’s orbit and made history. Before Wednesday, only the United States, Europe and the Soviets have successfully sent spacecraft to Mars. And India reached Mars with significantly less money. With a price tag of $74 million, the Mars Orbiter Mission cost a mere fraction of the $671 million NASA spent on its MAVEN spacecraft, which arrived to Mars earlier this week. Security, a growing problem everywhere ( even on Linux ); but this sandbox for Firefox looks to be useful! We often find ourselves running applications we received in binary format. These include not only traditional software installed on our computers, but also unauthenticated programs received over the network and run in web browsers. Most of the time these applications are too complex to be bug-free, or can come from an adversary trying to get access to our system. Firejail is a SUID sandbox program that reduces the risk of security breaches by restricting the running environment of untrusted applications. The core technology behind Firejail is Linux Namespaces, a virtualization technology available in Linux kernel. It allows a process and all its descendants to have their own private view of the globally shared kernel resources, such as the network stack, process table, mount table, IPC space.